The RadFilter Smart Tag provides convenient access to the most common settings for the control. 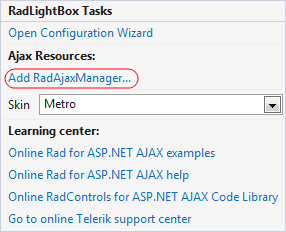 You can display the Smart Tag by rightclicking on the RadLightBox in the design window, and choosing the "Show Smart Tag" option from its context menu. Open Configuration Wizard link displays RadLightBox wizard with General settings which lets you customize/configure the RadLightBox control. Modal - When the property is enable the window can be closed by clicking outside of its frame. 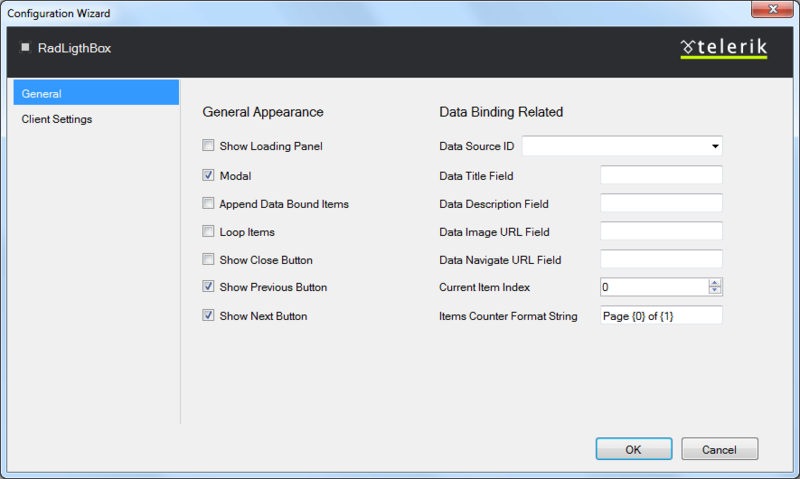 Append Data Bound Items - Allows you to append a data bound items to a currently set static collection of items. Current Item Index - Allows you to set index to the current item. Item Counter Format String - You could use this property to set a custom format of the items counter. 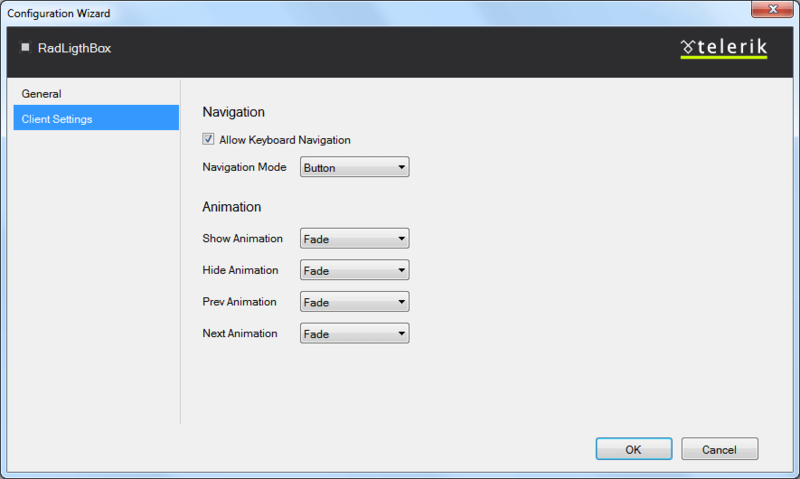 Navigation Mode - Allows you to choose between two type of navigation: Zone and Button.Zone navigation mode allows you to navigate between the images by clicking on the left or right area of the RadLightBox, while the Button navigation is performing only by clicking on the arrow buttons. Link navigate you directly to APS.NET live examples. Link navigate you directly to APS.NET help. You can also search the Telerik web site for a given string.